In March 2015, the U.S. published its updated and revised “Cooperative Strategy for 21st Century Seapower: Forward, Engaged, Ready (CS-21R). CS-21R was developed jointly by the Navy, the Marine Corps and the Coast Guard. It is one of the first official documents that tries to translate the strategic “rebalance toward the Asia-Pacific”, outlined in the 2012 Defence Guidelines (U.S. Department of Defense 2012: 2), into military practice. CS-21R is concerned, among others, with the modernization and expansion of Chinese defence systems and challenges to U.S naval supremacy in the Indo-Asia-Pacific. CS-21R is designed to reassure U.S. allies, to enhance the forward presence of U.S. maritime forces and to guarantee U.S. command of the commons and freedom of action in the maritime domain. CS-21R has far reaching implication for the future of the international system and world peace and security. The world’s oceans are no longer seen as a post-Cold War liberal space of interdependence, exchange and cooperation. Instead, CS-21R portrays the maritime domain in realist terms and as an emerging geopolitical and military battlefield. 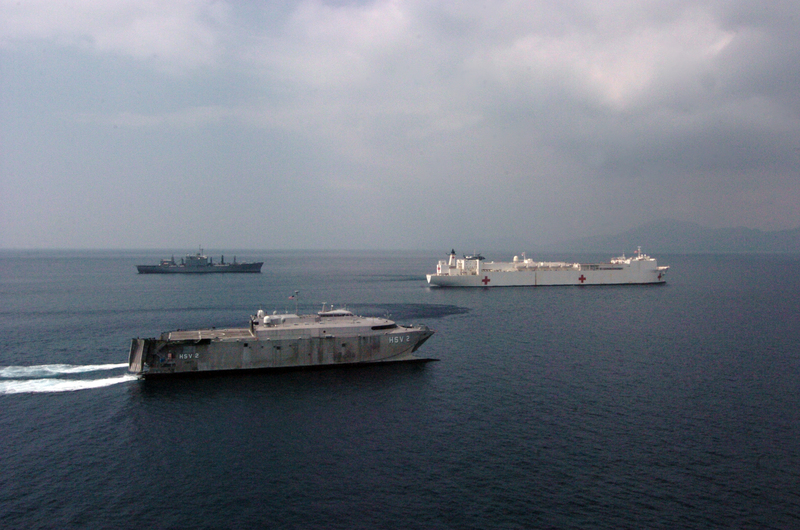 We might be witnessing the beginning of a new era of interstate conflict and rivalry over maritime power. World order, so to say, is about to change at sea, and CS-21R is a significant milestones in this process. Naval power is an important tool of statecraft. The oceans have been contested for centuries. The U.S. became a global naval power in World War I. During World War II, it defeated Japanese attempts for naval supremacy in the Pacific. In the Cold War, the U.S. navy prevailed against the Soviet naval build-up in the Atlantic. But following the Soviet collapse, naval competition came to an end and the U.S emerged as the only maritime super power. 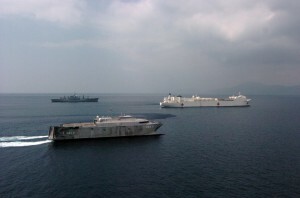 The U.S. fleet was reduced and restructured to protect the expanding liberal order in the absence of a peer competitor. The 2007 Cooperative Strategy for 21st Century Seapower (CS-21), the first U.S. maritime strategy since the end of the Cold War, argued that U.S. “interests are best served by fostering a peaceful global system comprised of interdependent networks of trade, finance, information, law, people and governance” (CS-21: 4). Instead of power competition and naval rivalry, CS-21 was largely based on the idea of “collective security” (CS-21: 4). It tried to build “confidence and trust among nations” (CS-21: 5), establish “Global Maritime Partnerships”, and facilitate the creation of “regional frameworks for improving maritime governance” and strengthen global “cooperation in enforcing the rule of law in the maritime domain” (CS-21: 11). The revised 2015 CS-21R departs from this liberal approach to seapower in quite significant ways. Its overall objective is no longer the spread of liberal practices and institutions in the maritime domain. CS-21R seeks to contain geopolitical and military challenges to U.S. maritime dominance. International liberalism, multilateral cooperation and engagement, in other words, are not an end in themselves; instead, they are mobilized selectively in order to balance against adversaries and in pursuit of more narrowly defined national security interests. CS-21R is particularly concerned over the spread and proliferation of what is widely known as anti-access/area denial (A2/AD) capabilities. A2/AD capabilities are aimed at preventing naval forces from accessing maritime areas and to limit their ability to operate within those areas (Cheng 2014; U.S. Department of Defense 2012: 4). A2/AD capabilities and threats include, among others, “long-range ballistic and cruise missiles supported by state-of-the-art command and control (C2) and integrated targeting networks; guided rockets, artillery, missiles, and mortars; advanced submarines and ‘smart’ mines.” Other military challenges affecting U.S. freedom of manoeuvre at sea are in the “cyberspace and the electromagnetic (EM) spectrum”, where opponents can “deny, disrupt, disable, or cause physical damage to our forces and infrastructure” (U.S. Navy 2015: 8). It is worth noting that the 2007 CS-21 had not mentioned a single serious military threat facing U.S. naval forces and challenging U.S dominance at sea. CS-21R should be seen as an important effort by the U.S naval forces to respond to this challenge and to secure future U.S. supremacy at sea. First, the strategy intends to increase capabilities for “All Domain Access”, including in the air, space and cyber domains, in order to make sure that U.S. forces can operate in any regional maritime theatre around the world (CS-21R: 20). Second, it argues that the navy needs to support nuclear and conventional “Deterrence” against adversaries. Third, the Navy plans to increase its capability for enhanced “Sea Control”, which would allow its forces to establish “local maritime superiority while denying an adversary that same ability” (CS-21R: 22). This will enable the U.S., fourth, to guarantee effective overseas “Power Projection” and to “enhance regional stability” (CS-21R: 24). Yet the document also expresses the naval force’s concerns about further defense spending cuts which, they claim, would make it difficult to implement CS-21R. In particular, CS-21R warns that such practises would reduce U.S. “war fighting advantages” and constrain the Navy’s ability “to maintain appropriate forward presence” (CS-21R: 27). The strategy points out that the Navy and Marine Corps “must maintain” (CS-21R: 27) their current fleet, including 11 aircraft carriers. The Navy in fact intends to increase the number of forward deployed ships from an average of 97 to 120 by 2020. Careful reading of the document, as well as current debates within the U.S. defence community, suggest that the revised maritime strategy is mainly directed toward China. China is rapidly expanding its A2/AD capabilities. The country is also largely seen as the peer competitor to U.S. maritime dominance and as a potential destabilizing force in international affairs (Glaser 2015; Liff and Ikenberry 2014). China is involved in several maritime disputes with its neighbours, including U.S. allies Japan and the Philippines, over islands and rocks in the South and East China Seas. These disputes have intensified in recent years and led to confrontations between fishing and coast guard vessels. Another underlying problem, though one that is not mentioned explicitly in CS-21R, is a disagreement between China and the U.S. over the legal principal of Freedom of Navigation (FON) in the Exclusive Economic Zone (EEZ). China argues that FON does not apply to military vessels sailing in a foreign EEZ, and it has on several occasions tried to block U.S. air and naval operations off its coast (Houck and Anderson 2015). U.S. naval vessels, on the other hand, have ignored Chinese warnings and sailed through waters claimed by China in order to uphold FON. U.S. defence and security analysts are worried that China might be trying to expand its EEZ and, relying on its growing A2/AD capabilities, make large parts of the South China Sea inaccessible for U.S. naval and air forces. What is at stake in the South China Sea, according to some analysts, is U.S. maritime dominance, the ability of its navy to project power anywhere in the world, and the future of the liberal order that U.S. Seapower helps to sustain (Haiwen 2010; Kraska 2011; Pedrozo 2010). CS-21R indeed argues that China’s naval expansion “presents challenges when it employs force or intimidation against other sovereign nations to assert territorial claims,” and that the “lack of transparency in its military intentions, contributes to tension and instability, potentially leading to miscalculation or even escalation” (CS-21R: 4). CS-21R thus refocuses U.S. naval power toward the Indio-Asia-Pacific, a vast maritime region that includes India, Australia, Russia and China. By 2020, 60 percent of U.S. Navy ships and aircraft will be deployed in the Indo-Asia-Pacific. The Navy will also increase its forward presence in the Middle East from approximately 30 to 40 ships over the next five years. CS21-R hence signals commitment to ensure continued U.S. dominance at sea. Yet does that mean that the liberal maritime order is coming to end? Will the 2015 CS-21R contribute to the bringing back the old days of naval rivalry and lead to great power competition on the oceans? Not necessarily. First, deterrence is not the one only U.S. response to China envisioned in its new maritime strategy. CS-21R argues that the rise of China also bears opportunities. It mentions the involvement of China’s navy in counter-piracy and its participation in multilateral exercises to demonstrate that China does “embrace international norms, institutions, and standards of behaviour” (CS-21R: 3). U.S. support for the Code for Unplanned Encounters at Sea (CUES) in the Western Pacific, which China has signed, should be seen as part of a liberal effort to engage China and to integrate its maritime forces into a “Global Network of Navies” (CS-21R: 32). Second, challenges associated with the rise of China and other geopolitical threats are not the only concerns of the U.S. maritime community. The strategy also lists maritime security among the main tasks of U.S. Sea Services (besides the above mentioned areas of All Domain Access, Deterrence, Sea Control and Power Projection). In particular in Africa, the Western Hemisphere and the Arctic, U.S. naval engagement will largely support efforts to “uphold the laws, rules, and norms that govern standards of behavior in the maritime commons for transit, trade, and the pursuit of natural resources” (CS-21R: 26). In the Gulf of Guinea and the Gulf of Aden, the U.S. will continue its counter piracy efforts and strengthen the maritime capacities of littoral states; in the western hemisphere, the U.S. Coast Guard intends to strengthen cooperation with regional law enforcement agencies to fight illicit trafficking and transnational criminal organizations; and in the Arctic and Antarctic, the Coast Guard is expected to enhance maritime safety and security as well as search and rescue; and even in the Indo-Asia-Pacific and the Middle East will U.S. forces be involved in law enforcement operations to counter piracy, trafficking and also terrorism. Nevertheless, the new seapower strategy of the U.S. does indicate a significant realist shift in U.S. strategic thinking about the oceans. CS-21R emphasises new military threats and geopolitical challenges, and it suggest military strategic concepts such as Sea Control, Deterrence and Power Projection to deal with them. Existing multilateral forums and institutions, for instance the United Nations or ASEAN, which could be used to deal with maritime disputes, are either ignored or only mentioned in passing (the United Nations Convention of the Law of the Sea, to which Washington is not a signatory, is not mentioned). Trust and confidence building measures, like CUES, do not help to resolve conflicts and to renegotiate international order. CS-21R hence constructs a realist future for the oceans driven by narrow security interests and great power rivalry. This does not mean that conflict and war are inevitable, or that the liberal international order will perish. However, the space for liberal coopreation on the world’s oceans is shrinking and geopolitical tensions are re-emering. Scholars and students of International Relations need to pay more attention to these emerging struggles at sea and how they shape world order. Beckman, Robert, and Clive Schofield. 2014. “Defining EEZ Claims from Islands: A Potential South China Sea Change.” Journal of Maritime and Coastal Law 29(2): 193–243. Cheng, Dean. 2014. The U.S. Needs an Integrated Approach to Counter China’s Anti-Access/Area Denial Measures. Washington D.C: Heritage Foundation. Glaser, Charles L. 2015. “A-U.S.-China Grand Bargain? The Hard-Choice between Military Competition and Accommodation.” International Security 39(4): 49–90. Haiwen, Zhang. 2010. “Is It Safeguarding the Freedom of Navigation or Maritime Hegemony of the United States? – Comments on Raul (Pete) Pedrozo’s Article on Military Activities in the EEZ.” Chinese Journal of International Law 9(1): 31–47. Houck, James, and Nicole M Anderson. 2015. “China and the Freedom of Navigation in the South China Sea.” Washington University Global Studies Law Review 13(3): 441–52. Kraska, James. 2011. Maritime Power and the Law of the Sea: Expeditionary Operations in World Politics. Oxford University Press. Liff, Adam P., and John G. Ikenberry. 2014. “Racing toward Tragedy? China’s Rise, Military Competition in the Asia Pacific, and the Security Dilemma.” International Security 39(2): 52–91. Pedrozo, Raul. 2010. “Preserving Navigational Rights and Freedoms: The Right to Conduct Military Activities in China’s Exclusive Economic Zone.” Chinese Journal of International Law 9(1): 9–29. U.S. Navy. 2015. “A Cooperative Strategy for 21st Century Seapower: Forward, Ready, Engaged”, Washington, D.C.
U.S. Navy. 2007. “A Cooperative Strategy for 21st Century Seapower.” Washington D.C.
U.S. Department of Defense. 2012. “Sustaining U.S. Global Leadership: Priorities for 21st Century Defense.” Washington D.C.
Tangredi, Sam J. 2013. Anti-Access Warfare: Countering A2/AD Strategies. Annapolis: Naval Institute Press. Jan Stockbruegger is a research assistant at the Department of Politics and International Relations at Cardiff University and a Graduate Student at the Departmnet of Political Science at Brown University (starting September 2015). He is the lead editor of piracy-studies.org. Tagged: China, Maritime Strategy, U.S.